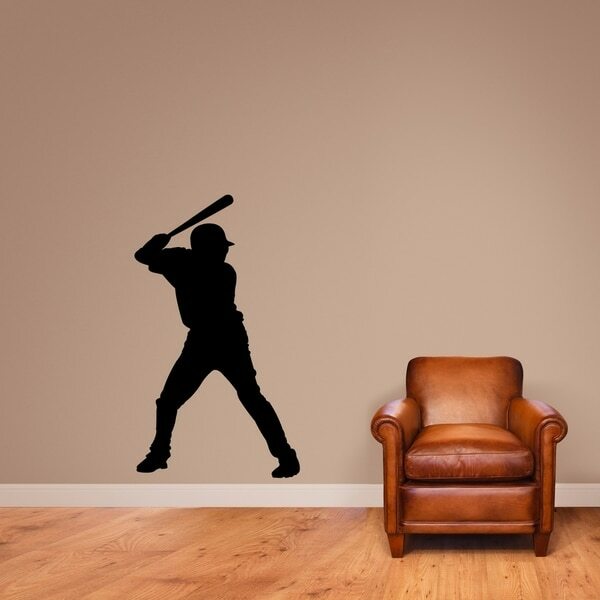 This baseball batter wall decal is sure to hit a home run in your kids room, nursery, man cave, or any sports room. Select a color perfect for your space! The larger sizes of this decal will come in more than one piece for easier application. Our decals come in a matte finish with the exception of silver and gold, which come in a nice sheen. Each order includes our free decal of the month which provides great practice for beginners. The available sizes describe the decal in its entirety from side to side and top to bottom. Our decals are easy to install and remove without damage. Each order comes with detailed instructions, and an application card. Dimensions 28.0 In. X 48.0 In.